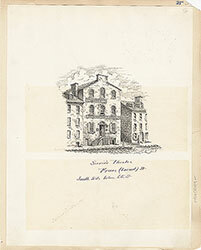 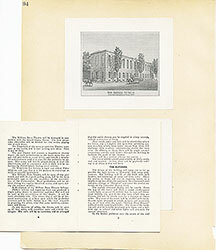 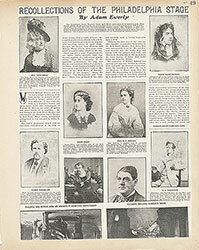 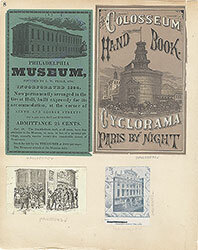 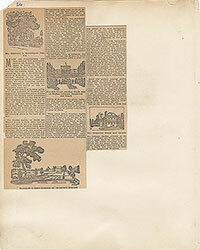 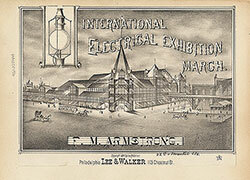 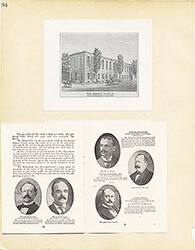 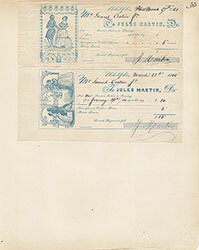 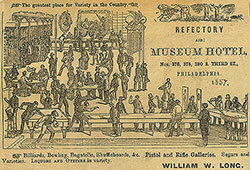 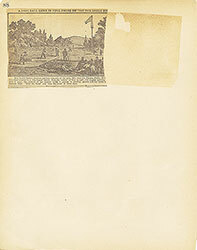 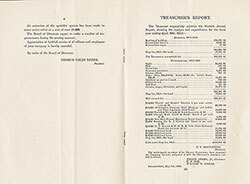 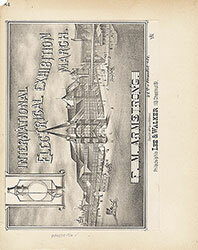 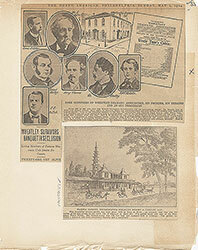 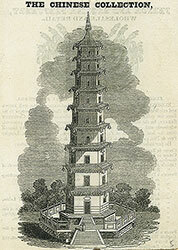 Trade card (?) 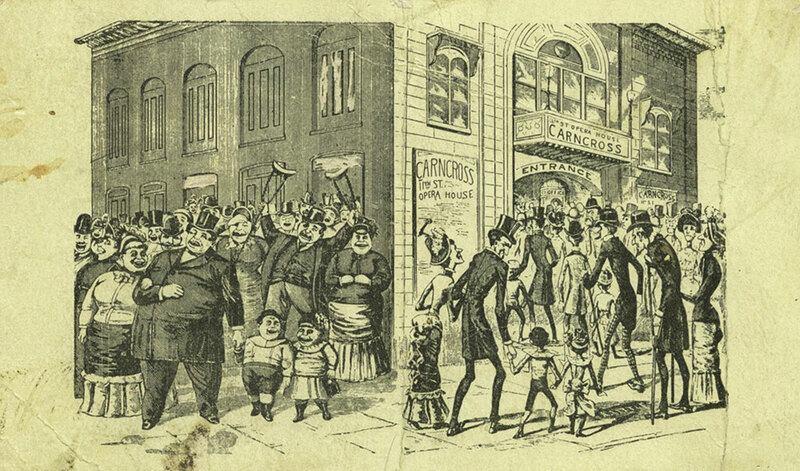 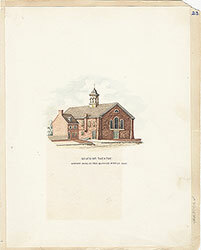 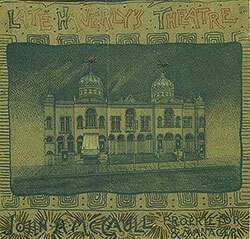 for the 11th Street Opera House depicting a caricature of two separate groups of people outside the theater. 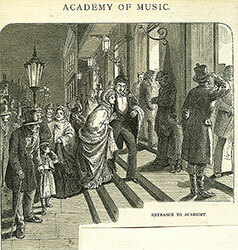 The slim well-dressed group entering the building in a restrained, orderly fashion on the right is drawn in stark contrast to the rowdy, boisterous over-weight crowd on the left side. 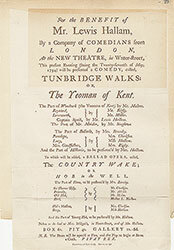 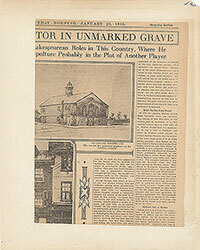 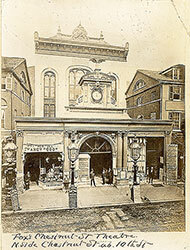 The name "Carncross" on the poster and above the entrance refers to the promoter of the minstrel shows, for which the theater was best known. 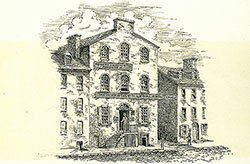 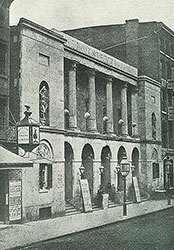 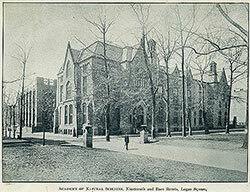 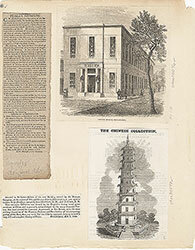 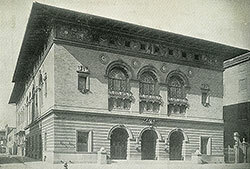 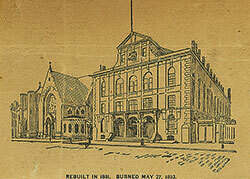 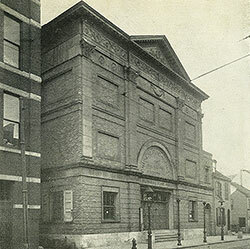 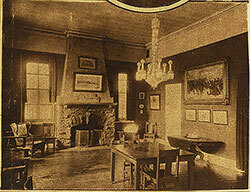 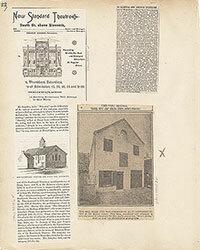 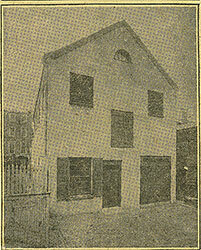 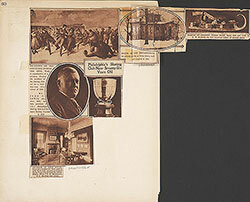 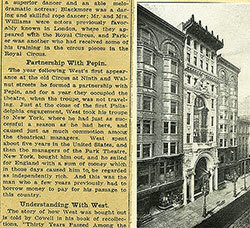 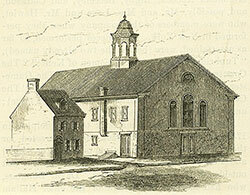 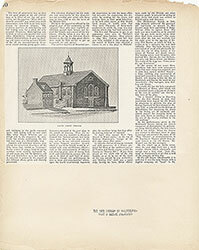 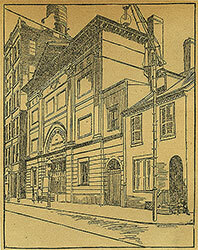 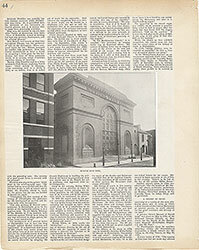 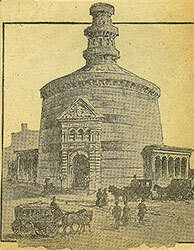 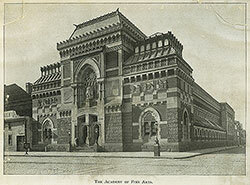 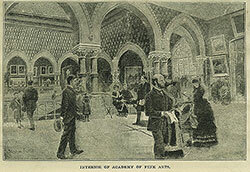 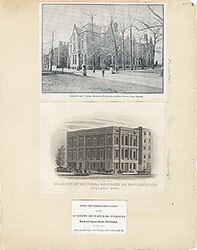 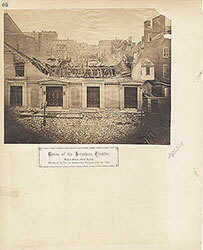 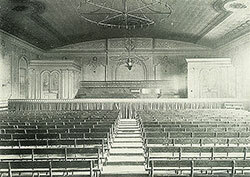 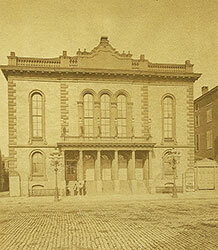 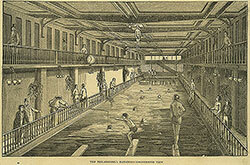 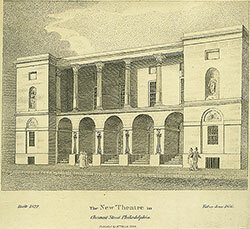 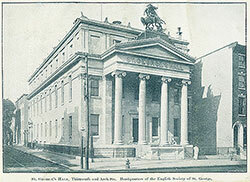 The building, which stood on 11th Street above Chestnut, had a history of various uses beginning life as a House of Worship. 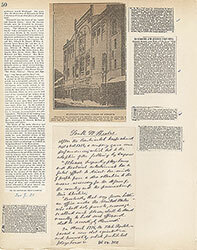 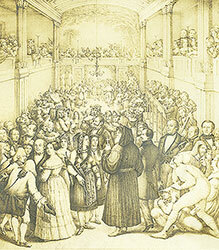 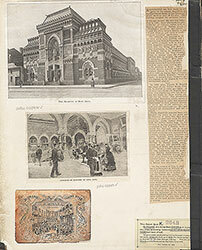 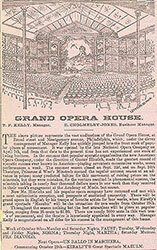 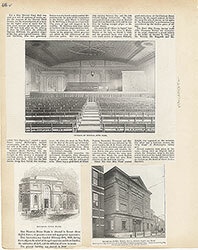 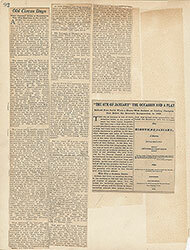 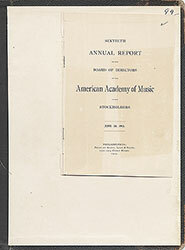 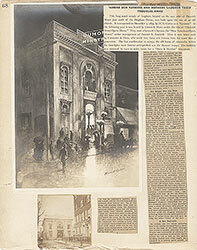 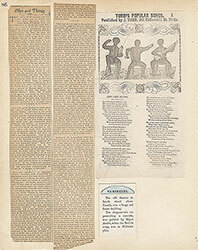 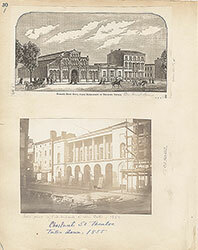 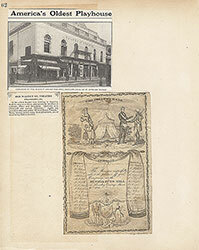 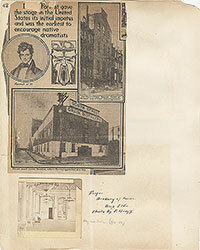 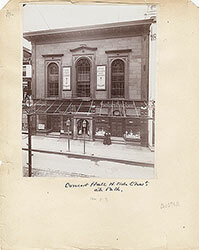 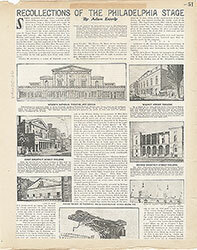 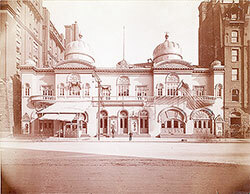 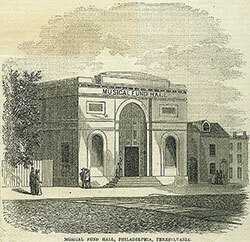 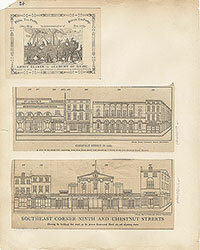 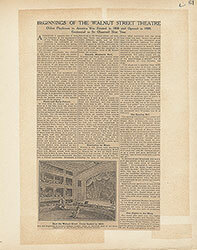 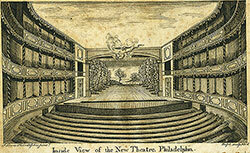 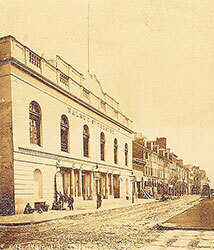 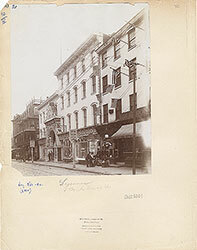 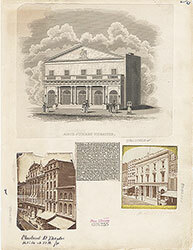 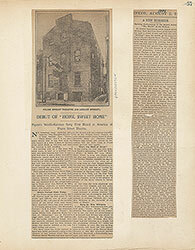 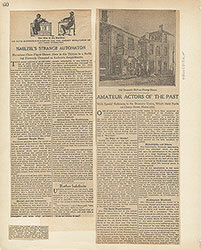 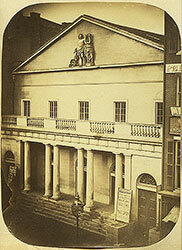 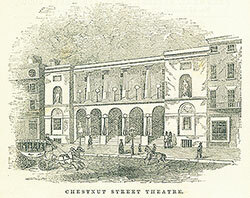 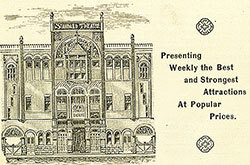 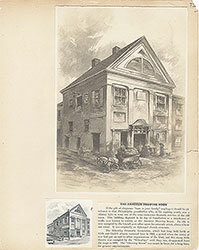 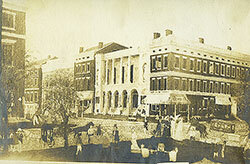 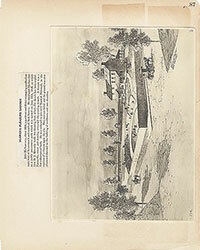 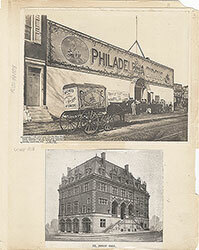 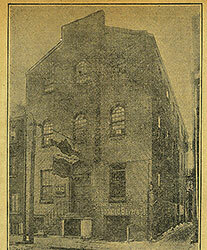 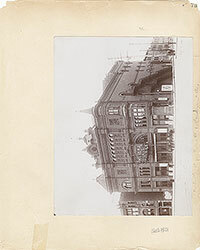 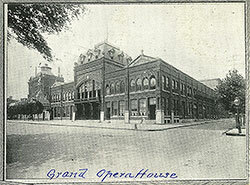 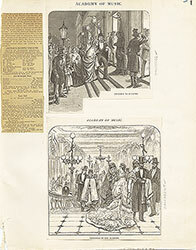 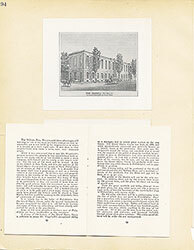 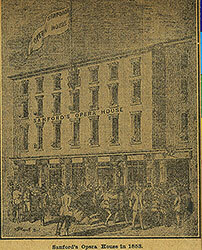 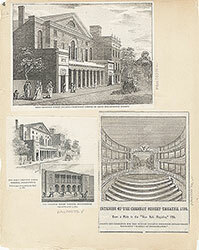 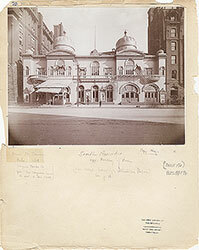 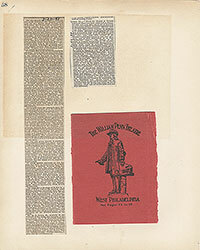 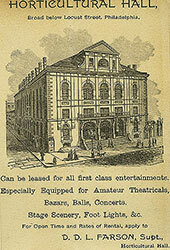 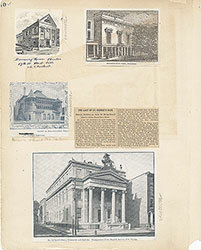 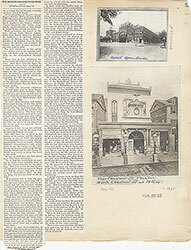 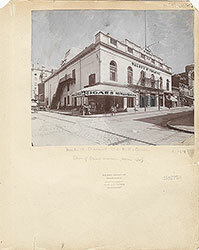 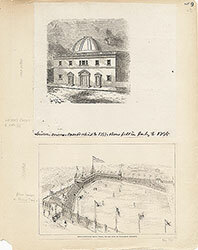 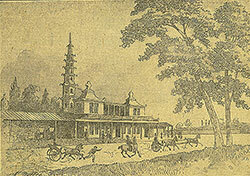 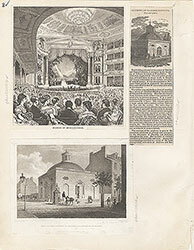 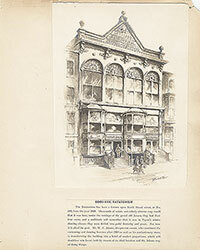 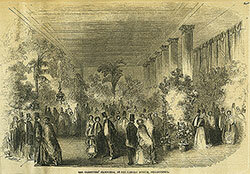 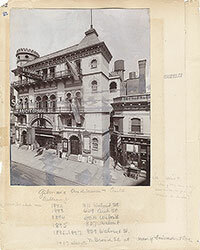 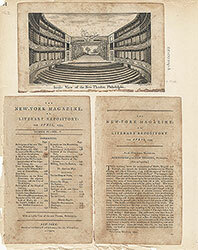 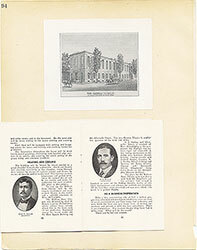 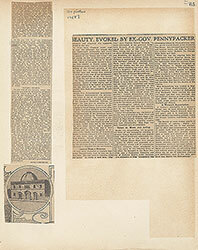 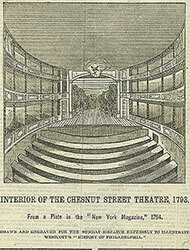 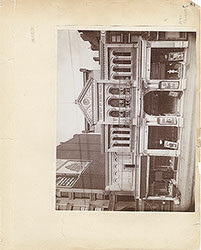 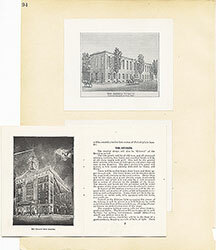 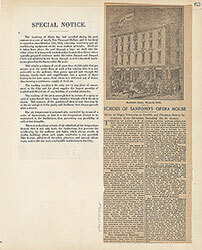 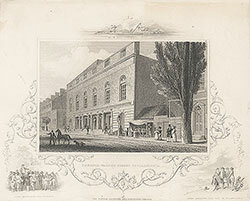 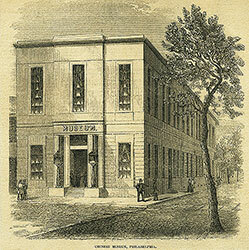 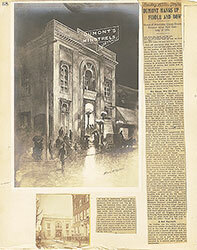 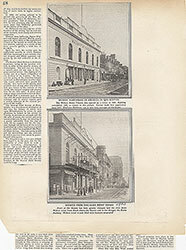 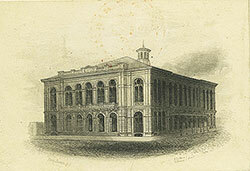 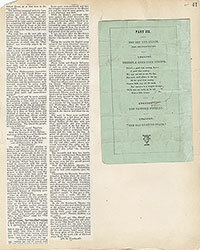 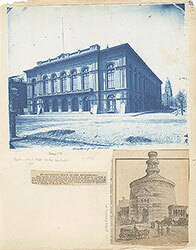 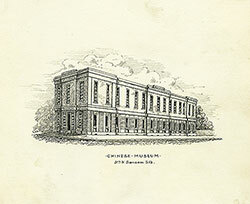 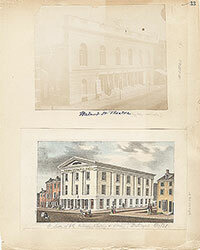 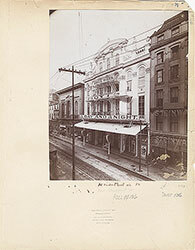 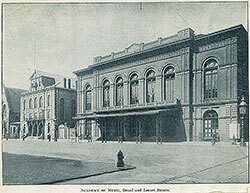 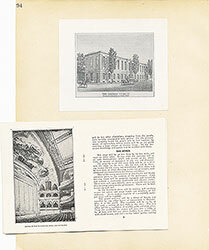 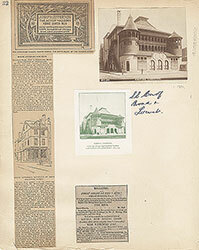 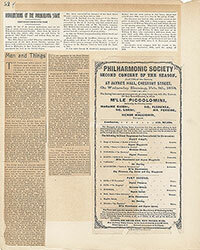 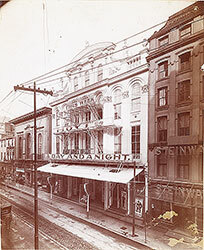 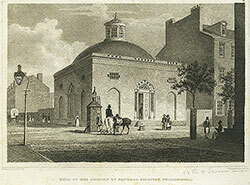 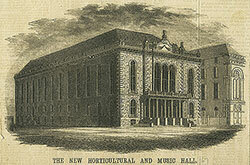 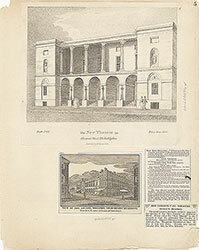 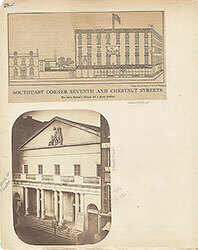 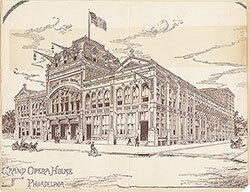 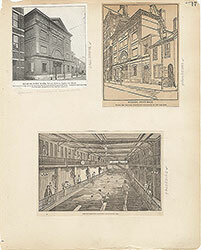 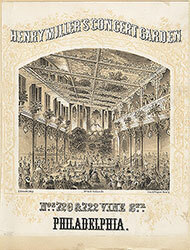 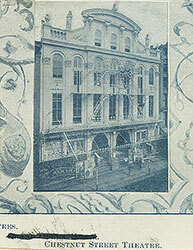 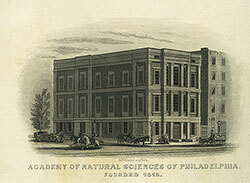 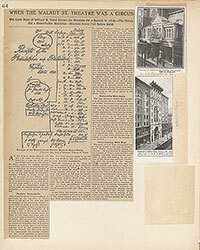 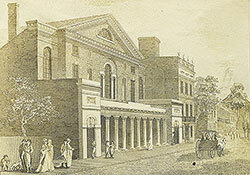 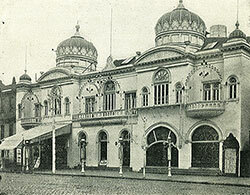 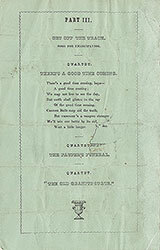 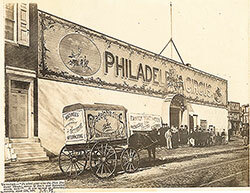 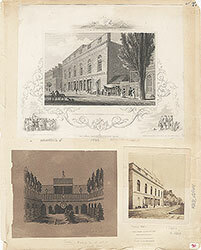 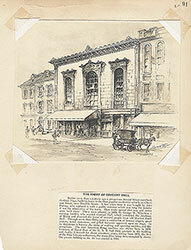 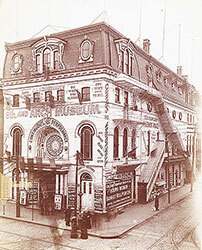 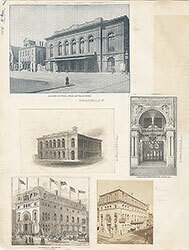 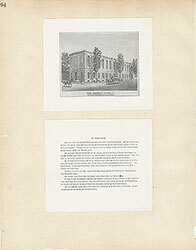 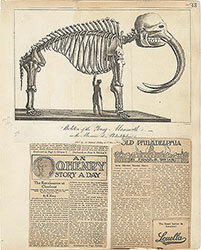 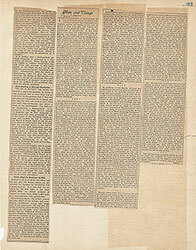 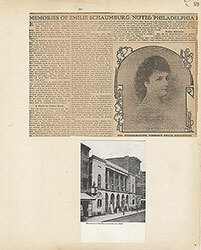 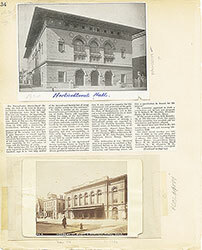 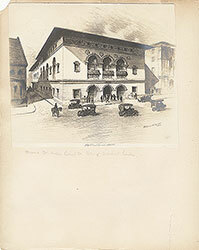 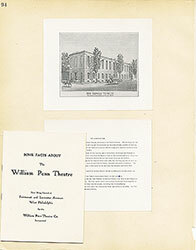 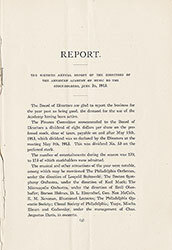 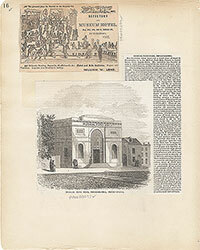 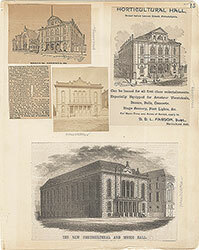 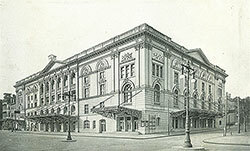 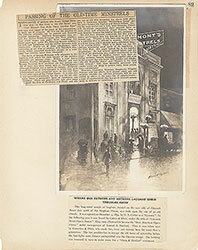 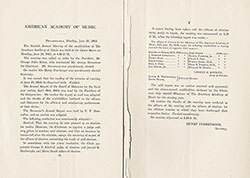 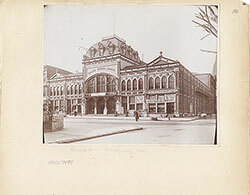 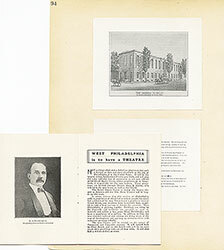 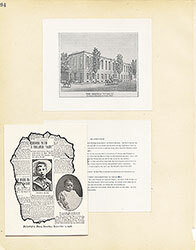 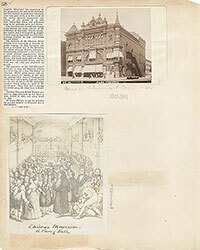 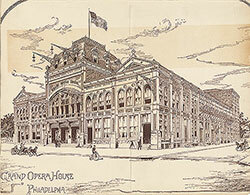 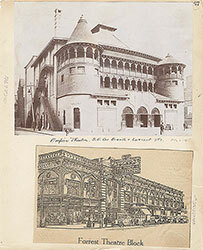 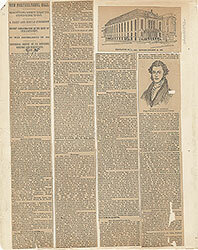 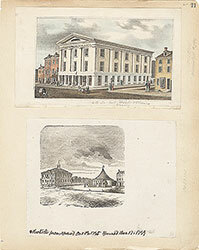 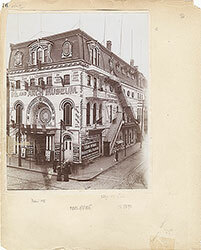 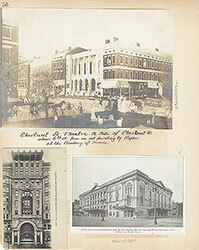 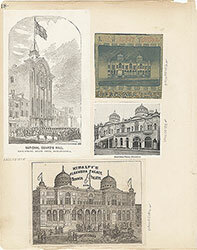 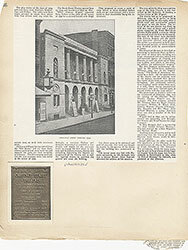 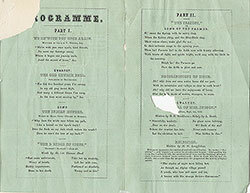 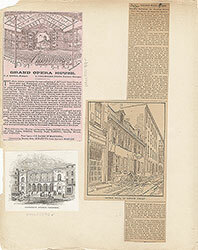 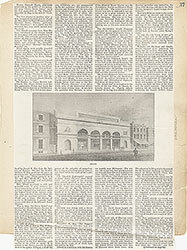 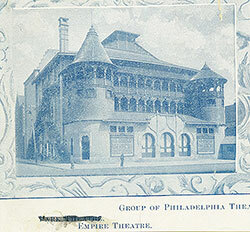 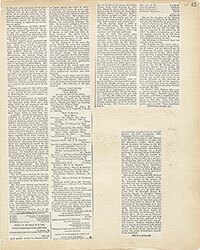 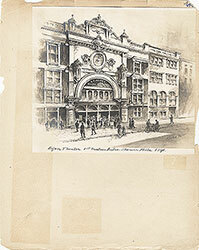 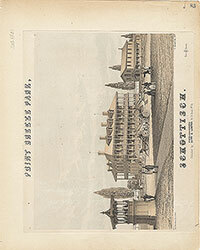 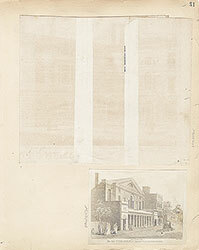 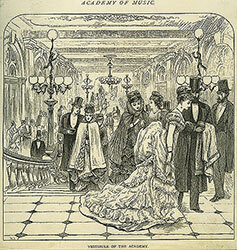 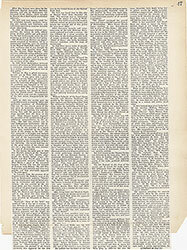 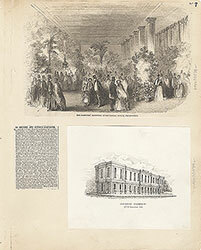 It opened as the 11th Street Opera House on March 19th, 1855, for a minstrel performance.